At the age of 21, Rob Oliver sustained a paralyzing body surfing injury. As a result of the injury, he could not use his legs and he only has limited use of his arms and hands. He spent the next six months in rehab, getting stronger in learning how to do such simple tasks as feeding himself. During this rehabilitation process, he was faced with major questions about life, relationships, his own identity in the future. What was he going to be able to do? How was he going to engage life? He was finding out many of the things that he could not do, how were those limitations going to impact his ability to be successful? 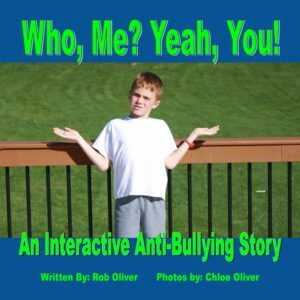 In his autobiography, Rob shares many of the lessons that he learned throughout the process. The lessons that he learned are lessons that apply to everybody. We all want to find love. We all need to feel a sense of accomplishment. If we want to truly live life, we have to make the most of every day that is given to us. 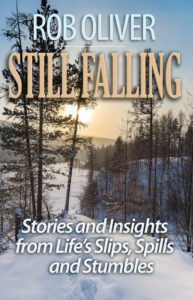 “Still Walking” chronicles Rob’s experiences from his accident prone childhood through his injury. He shares how he has moved on from the injury and in spite of its limitations has taken on the challenges of graduate school, marriage, full-time employment, parenting and just living a full life! Rob learned his lessons the hard way. He feels that his experiences have taught him lessons that he may not have learned any other way. However, there is always a reminder that the most valuable lessons often come at the highest price. His desire in writing his autobiography was to share those extremely valuable lessons with others. There are parts of the book that are emotionally stirring, some are funny, much of it is inspirational, but all of it is true to life. 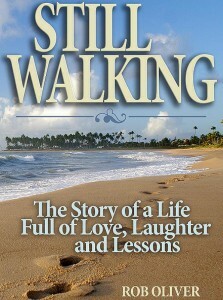 After reading this book, you will be certain of the fact that on the road of life, Rob Oliver is “Still Walking”.